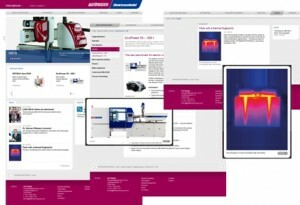 The WITTMANN Group’s new website is now live and online. It provides both an integrated platform and a complete shop window for both WITTMANN BATTENFELD injection molding machinery and technology and for WITTMANN automation, materials handling and temperature control solutions for plastics processors. The WITTMANN Group’s integration, development and expansion of WITTMANN BATTENFELD’s worldwide operations has proceeded throughout the world following WITTMANN’s purchase of BATTENFELD on April 1, 2008. The newly revamped website is further evidence of the growing integration and synergy between the two parts of the business.The WITTMANN Group’s quarterly innovations magazine carries all the latest news about the company’s plastics technology advances. innovations magazine is also full with regular reports from customers and users; including new features such as My EcoPower and My MicroPower.